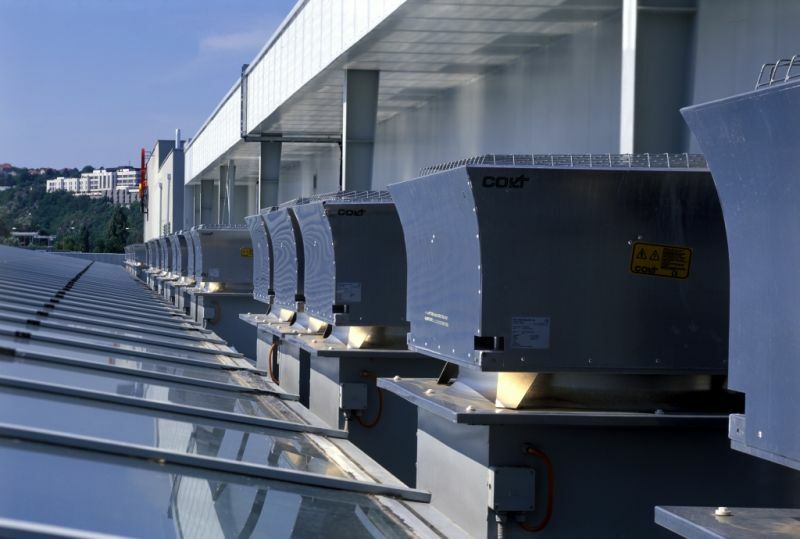 Colt HVAC systems step in to provide an effective solution when the situation or structure of the building makes natural ventilation impossible. The building can be too low, or not enough heat is generated inside it, to create a stack effect to move the air. It may be impossible to fit enough natural vents at a low level to run a natural ventilation system or, if the building is contained within a bigger structure, there may be no direct access to natural air. Colt HVAC systems offer a cost-effective solution. Colt experts can maximise their energy efficiency by integrating a control system in the design. Colt mechanical ventilation systems can also be integrated with air conditioning or adiabatic cooling to provide a cost-effective and energy-efficient solution when there is a requirement to cool below ambient temperature.